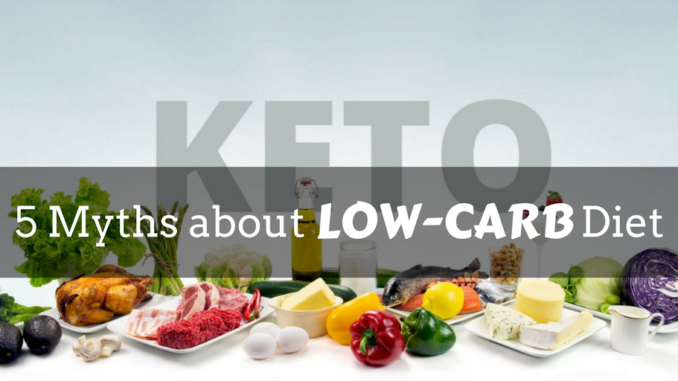 Just like any other form of diet, there are tons of myths that surround the low-carb or ketogenic diets. Here are some myths that do not really make sense and you should totally ignore. Myth 1: To be healthy, you need to have a Carbohydrate-heavy diet. A lot of people still believe that carbohydrate are essential to the health of our brain because it produces glucose that we use as fuel. However, according to studies, it’s not just scientifically true anymore. When you’re on a ketogenic diet your body will not use glucose as your energy source. Instead, it will use ketones as an alternative fuel. If you are just starting with the low carb diet the glucose or blood sugar needed to fuel your brain can be generated by the liver from the glycogen stored in it. Also, your body can make glucose from the protein in your food if it needed to. Myth 2: Because of the high protein consumption of a low-carb diet your kidney might sustain damage. Low carb diet or keto diet is not a high protein diet. The main ingredient to this diet is eating high fat with moderate protein consumption. Studies even show that healthy people with no prior kidney disease can eat extra protein and it’s still perfectly safe. Some people who start Ketogenic diet or Low Carb diet may feel a bit feverish and feel flu like symptoms. This condition is called Keto Flu. Myth 3: Low Carb diets could cause the body to excrete calcium which could result in osteoporosis. False. Protein consumption is important for good healthy bones, in fact, it helps in the prevention of osteoporosis. This means higher protein intake will give your stronger and denser bones. Myth 4: Low-Carb diet will give you heart disease and clog your arteries because of the high fat intake. One of the biggest myth associated with the ketogenic diet is based on a lie that saturated fat and cholesterol cause heart disease. As a matter of fact, there were studies showed that low carb diets improved the heart disease markets over other types of diets. There are also studies that show how low carb diet positively affects blood test result for heart diseases. Myth 5: If you’re on a low carb diet this might cause muscle wasting. This is not true. It is said that ketogenic diet is better at preserving and increasing lean muscle mass. According to studies people who are on a high carb diet lost more muscle mass. This is because carbohydrates can displace some of the protein that would have helped in retaining muscle mass. On the other hand, ketosis increases the amounts of branched chain amino acids which helps in the better preservation of muscle mass.